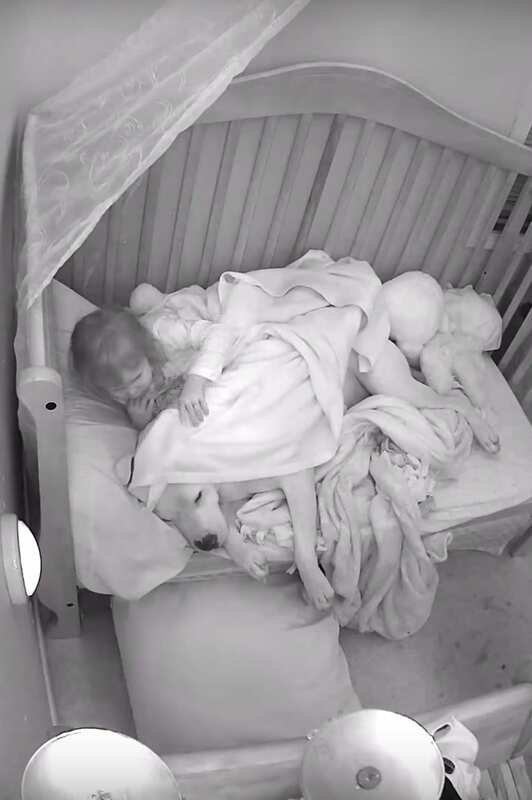 Nothing is cuter than a toddler hanging out with the family dog. To see the pure joy in both the child and animal’s eyes as they run around and play together is nothing short of spectacular. It’s safe to say that dogs are always a much-loved part of the household, providing not only fun and enjoyment but also heaps of affection. Sometimes, however, the bond between animal and human goes even deeper, such is the case with a young girl named Adalynn and her dog Fury, a 100-pound blue nose pit bull. Her situation is pretty unique. It turns out, Ady and her family are from Palmer, Alaska, an area that recently just got hit with a massive 7.0 earthquake. The epicenter of the quake was about 10 miles to the north of Anchorage. Palmer is not too far away, lying about 42 miles to the northeast. The amount of damage to buildings and infrastructure in the area was definitely pretty substantial. Check out this road, for example, that got completely ripped apart. We can only imagine how frightening that must have been for a small child to experience. To make matters worse, since the event, there have been over 5,000 aftershocks which have really affected Ady’s sleep. Luckily, Fury has been there every step of the way, providing her amazing amounts of comfort, and helping her to conquer her fears. Understandably, the aftershocks caused her massive amounts of anxiety. Now, the only way she can sleep soundly is if her buddy Fury is right there by her side. In a YouTube video put out by ViralHog, young Ady can be seen carefully tucking her best friend into bed at night as he lies there next to her. The whole scene was captured by the family’s nanny cam, and it is absolutely heartwarming to watch. As Fury sleeps, Ady does her best to gently pull the covers over him. Although she doesn’t manage to cover him all the way, it’s the thought that counts, right? Really, it’s all very adorable and it’s obvious that the dog’s presence provides a great calming effect for Ady. 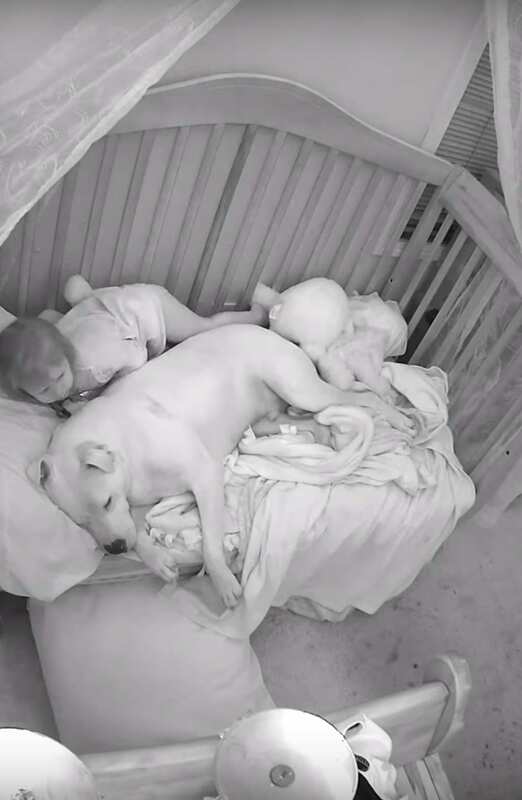 “Normally he sleeps on the floor next to her bed but that night she called him up to cuddle him,” the video description reads. We don’t blame her! Earthquakes can be pretty terrifying to experience. After Ady is sure that Fury is all set, she is finally able to get to sleep herself. With the giant pit bull next to her, she no longer has to worry about those scary earthquakes. Her loving friend will be right there to protect her if anything bad were to ever happen again. 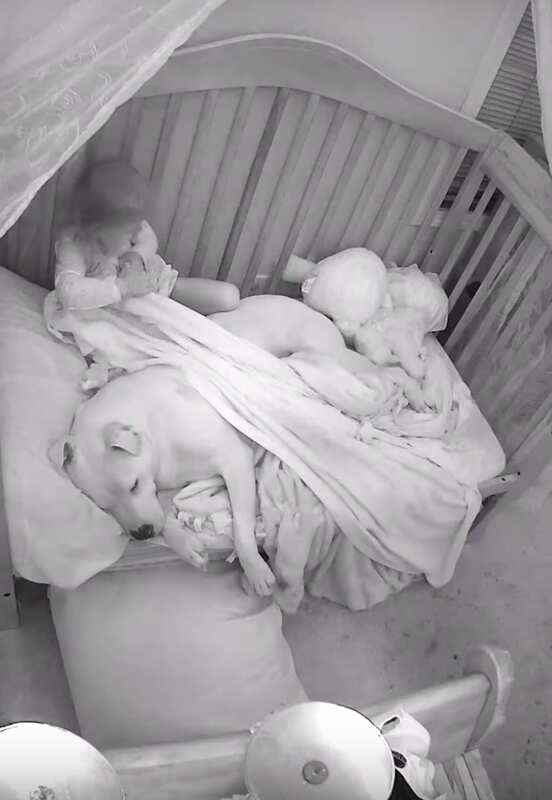 Watch the adorable video below of Adalynn tucking Fury into bed.